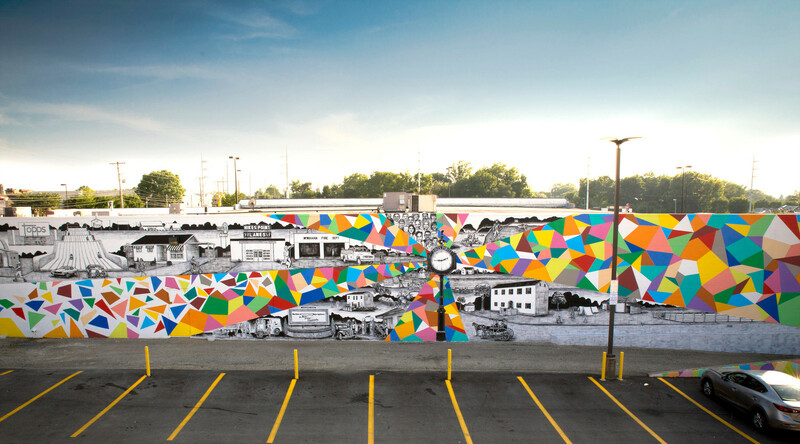 We’ve written before about the amazing street art found in and around Louisville, and we’re back with even more beautiful artwork for you to see next time you’re in the city. All you need is a camera and some time and you’ve got a weekend of mural sightseeing. Do you have some good shots of this artwork? Share them with us on Instagram or Facebook by tagging @lifestylecommunities. 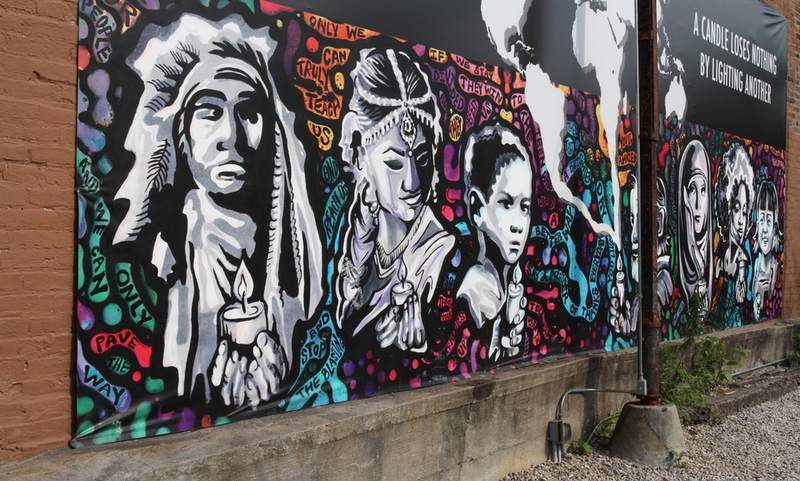 In late 2016, the History of Hikes Point Mural was unveiled to the public, made possible by the Center for Neighborhoods through its P.A.I.N.T. (Producing Art in Neighborhoods Together) project. Created by former schoolteacher Liz Richter, this beautiful artwork is a nod to Hikes Point’s history and a symbol of its bright future. 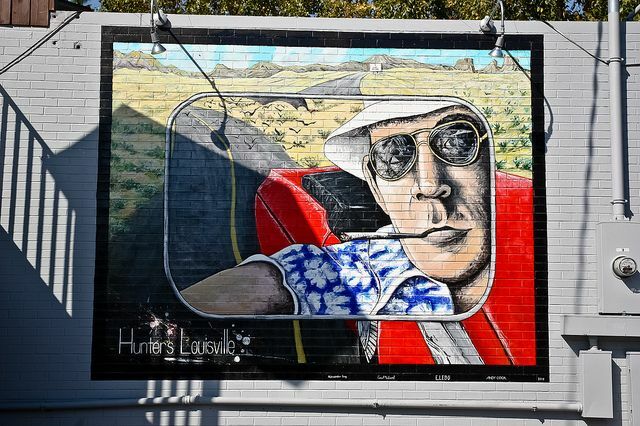 Located on an outside wall of the Monkey Wrench Bar, on the northside of Winter Avenue, is a painted mural of author and journalist, Hunter S. Thompson. A local native, Thompson was born in Louisville in 1937 and became a prominent citizen. The mural, featuring a road-tripping selfie of Thompson, is the work of artists Carol McLeod, Evan Leibowitz, Alexander King and Andy Cook, and was completed in 2010. 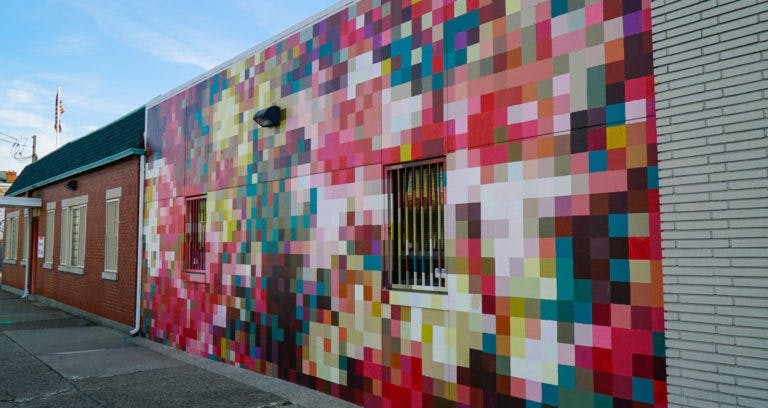 Designed and created by Shelby Park artist Tyler Deeb, this visually stunning mural was born from a pixelated picture of flowers. The theme of the design is “building something bigger than ourselves,” and community members helped paint more than 2,000 squares on the side of the building to complete the project. This is probably one of the most recognizable and highly-cited murals in the city. 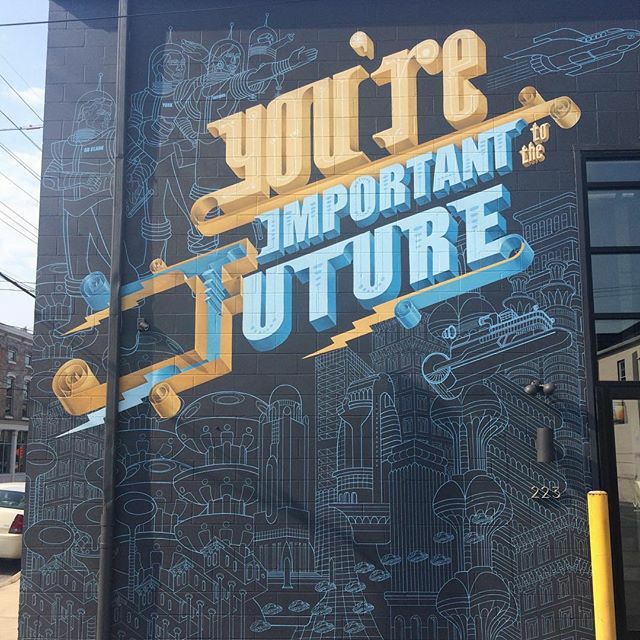 It also prominently features one critical message: You’re important to the future. We couldn’t agree more.